In 2012, the rate of social media growth in Indonesia is faster than last year. More users, more heavy expression and conversation. In terms of Twitter account, on February 2012, Indonesia is in 5th position of Top Countries behind US, Brazil, Japan, and UK (source : Semiocast). And recently it goes to the 4th rank I believe (source : ComScore). And Indonesia is a country having many netizens tweet so often, making it #3 rank of the chattiest Twitter nation after US and Brazil. 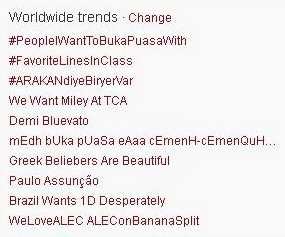 The image above is the Worldwide Trends on Twitter around 6:50 PM. On #1, there is "mEdh bUka pUaSa eAaa cEmenH-cEmenQuH" (very hard to re-write). That phrase means "Happy breakfasting my friends". Don't know who initiated that phrase and conversation, but anyway, the style of writing in Capital and normal letters abnormally like that is "Ababil" people's style (teenager's style that is trying to create cute and different things but end up as weird), and many adults educated people hate that "Ababil" style. But did those teenagers create this trend on Twitter? If yes, awesome. Not sure and didn't pay attention about the exact time when that phrase started to crawl on the Worldwide Trends chart, though, but 6:50 PM is the time when Muslim in Indonesia are done with their breakfasting. 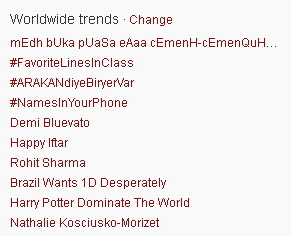 Around 15 minutes after that, that trend went into #6 and #1 was something created by Indonesian as well. #PeopleIWantToBukaPuasaWith means "People I want to breakfasting with". Nah, maybe because it was the first day of Ramadhan or fasting month, then that was a big hype happening on this nation with million users? Anyway, July 21 is Saturday, and Indonesian generally tweets more on weekend. Those two "Indonesian" phrases on the Twitter's Worldwide Trends might represent greeting or expression on the 1st day of Ramadhan. Let's say that "Digitalized Expression" is potentially gaining wider audience. Yeah, the world sees you!